With recent big data analytics (BDA) proliferation, enterprises collect and transform data to perform predictive analyses in a scale that few years ago were not possible. BDA methodologies involve business, analytics and technology domains. Each domain deals with different concerns at different abstraction levels, but current BDA development does not consider the formal integration among these domains. Hence, deployment procedure usually implies rewriting code to be deployed on specific IT infrastructures to obtain software aligned to functional and non-functional requirements. Moreover, previous surveys have reported a high cost and error-prone transition between analytics development (data lab) and productive environments. 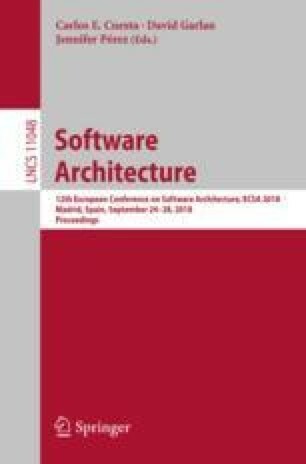 This paper presents ACCORDANT, a domain specific model (DSM) approach to design and generate data analytics solutions bridging the gap between analytics and IT architecture domains. To validate the proposal’s feasibility and usability, a proof of concept is developed and evaluated. Research supported by the Center of Excellence and Appropriation in Big Data and Data Analytics (CAOBA), supported by the Ministry of Information Technologies and Telecommunications of the Republic of Colombia (MinTIC) through the Colombian Administrative Department of Science, Technology and Innovation (COLCIENCIAS) within contract No. FP44842-anexo46-2015.